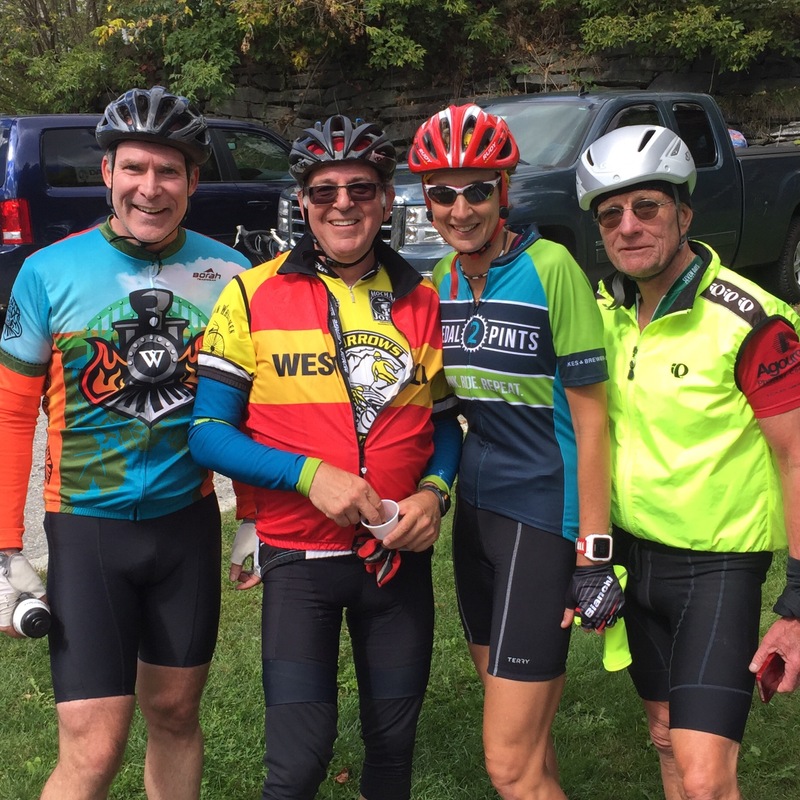 With several buddies, I rode in the Hungry Lion Bike Tour yesterday, starting out in Whitingham, just near the Brigham Young memorial, and meandering around the Mohawk Trail area. Fall is definitely in the air, with some trees turning and temperature at the starting line only about 50. The sky was a beautiful blue, the winds were quiet, and overall it was a great day to be out. We mostly stayed together, but then Elizabeth and I eased ahead of the others, and pushed less and less easily through the final third of the ride. She is headed to Hawaii for the Ironman World Championship in a couple of weeks, so when I gratefully tucked into my post-ride burger, she got back on her bike for another couple of hours. The early part of the ride was livened up by the passage of dozens and dozens of vintage motorcycles, all participants in some rally of their own. We had some great stretches of silky new pavement, and we even went by Lake Sadawga, home of floating islands. 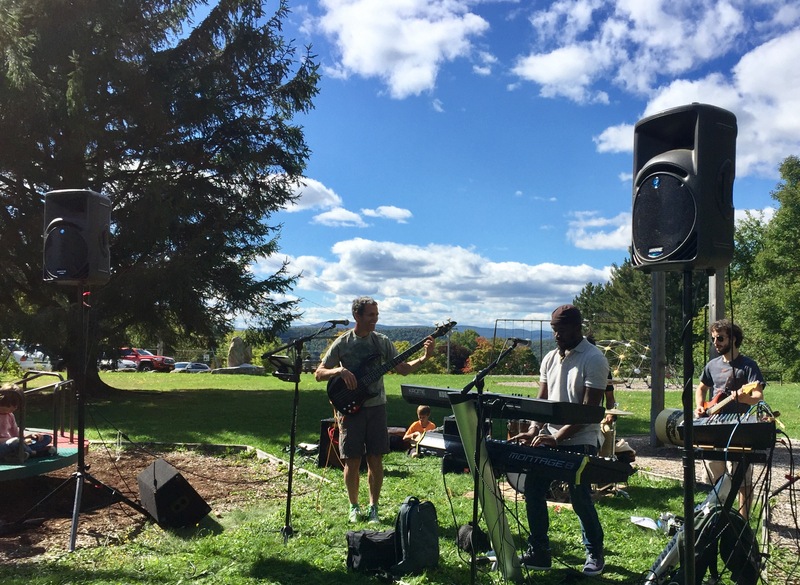 At the finish, I didn’t win any raffle prizes, but I did get to eat delicious barbecue and drink good beer while listening to World Way, my favorite local reggae band. In fact, they are the only local reggae band I know of, but they’re my favorite.